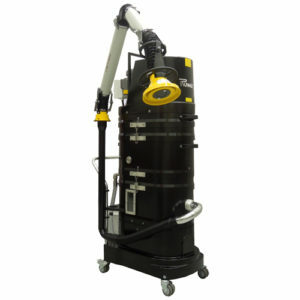 Vacuums for Metallic Dust & Conductive Metals| Latta Equipment Inc.
Ruwac’s portable immersion separation systems are designed to safely collect conductive metals, explosive or impact sensitive materials or glowing media. With 100% of the intake air being completely submerged in liquids the chance of an outside ignition source entering the vacuum, is safely ruled out. Some materials that may require an immersion separator include but are not limited to: aluminum, magnesium, titanium, zirconium, lithium, sodium azide, glowing embers, TNT, High explosives, impact sensitive dusts, etc. 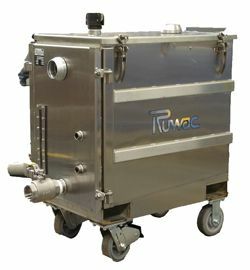 The Ruwac NA series immersion separators effectively capture and contain the hazardous materials returning only clean air to the work environment. By a combination of centrifugal force and violent mixing of water and air, the material is safely collected within the immersion separator. The centrifugal force caused by the powerful vacuum system forces the dust particles to penetrate the water droplets and become entrapped. 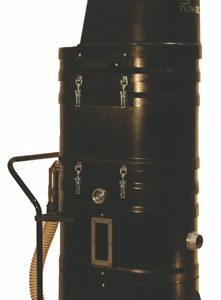 Contaminated liquid vapor is then removed from the airstream by special mist filters. 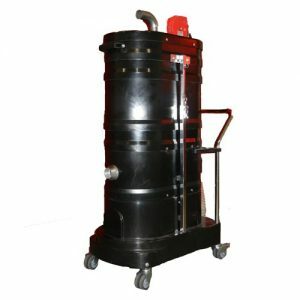 Dust, as sludge, settles to the collector bottom and the liquid can be reused or disposed of. 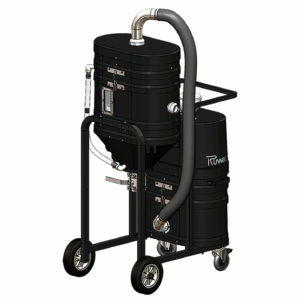 We are also pleased to announce that our NA 35 vacuums are ETL certified. There are 2 different certifications. Authorizations to Mark included. UL 1203 Covers only the EX vacuums for use in Class I Div 1,2 Group D and Class II Div 1,2 Group F and G.
The NA35-110EX & NA35110EXHD come with a group E rated motor & switch. The importance of a machine that will insure not only the safety of the environment but also that of the employees is priceless. Great for use within the automotive industry and e-manufacturing! 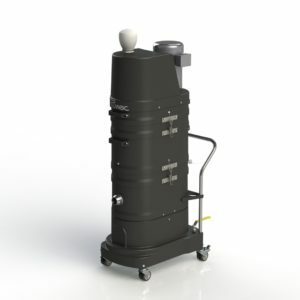 Contact us today with your specific application to see if an immersion separator may be your solution. as always – MADE IN THE USA!